I found this article when I searched for the phrase "beat depression." 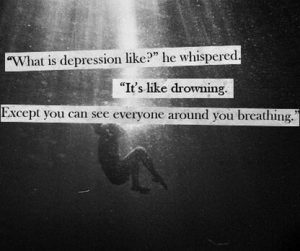 Many of us are depressed. Depression can be low-grade or raging... I am most interested in the low-grade depression, it is easier to beat depression that is low-grade without medication. The writer of this article uses valid arguments for self-management, but misses a lot of factors, like what did he do, exactly, that allowed him to beat depression to begin with. He says he took responsibility for his feeling down and out, ad he kicked the medications... so far so good. But what he isn't saying is that depression is a sign of something. What is it a sign of? In my experience, as a once depressed person (for 40 years!) I have noticed a few common characteristics with my coaching clients. I could not see myself clearly doing what I thought I wanted to do... the picture was there like fuzzy patches, but not like a movie. So, how do you get out of these three interconnected and synergistic (negatively) states of mind? I think that the easiest is to start with number 2. Why? Because it is easier go get happy(er) with yourself, especially because you need energy for the other two, and having a good feeling about yourself will give you energy. Continue reading "How To Beat Depression Without Medication"
Do you feel stuck? Are you trying to do everything but you still are stuck at the miserable place instead of where you are your best? One of my clients used to be in constant survival. He could see that he wasn't doing what he really wanted to do with his life. He knew he loved to learn. He knew he loved to be in conversations about deep issues where he could distinguish, for himself and another what they were looking at, deeply, precisely and in a way that it altered life. He loved that. These were the activities he loved to do, and he hoped that people would, at some point, pay for it. Continue reading "Do You Feel Stuck?" Author Sophie Benshitta MavenPosted on 2010-07-11 2018-02-20 Categories Get unstuck, old articlesTags Bones, breakthrough, Conversations, Desire, do you feel stuck, feel miserable, flail, Miserable Place, Moneymaking, Moving, poverty, raise your vibration, survival, Truth About, vortexLeave a comment on Do You Feel Stuck?